Pay TV giant Sky has acquired extra capacity on satellite as it prepares to launch an Ultra HD service. The news comes as Sky announces it's going to ditch broadcasts in the DVB-S standard in parts of Europe. 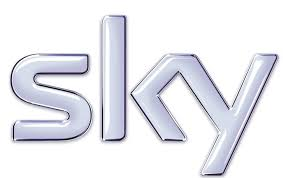 But while Sky UK has previously been the centre of satellite TV innovation, it's Sky Germany that is preparing to get an Ultra HD service on the market and has acquired extra capacity from satellite operator SES on satellites based at the 19.2 East orbital position. So far, Sky UK has remained tight-lipped over its eagerly anticipated Ultra HD launch plans for UK and Irish subscribers. Sky UK broadcasts from satellites at the 28.2 East orbital position. In the UK, Sky will lag behind BT, which yesterday published first details of its Ultra HD TV pricing and technical requirements ahead of an official announcement in advance of the launch of BT Sport Ultra HD on 2nd August. In a further twist, Sky Germany will stand to gain further capacity efficiencies when in November it ceases transmissions in DVB-S, the broadcast standard which has been used in Europe to distribute digital TV via satellite since the late 1990s. The change will affect satellite subscribers in Germany and Austria as well as cable providers that relay Sky channels on their networks, according to Germany's Digital Fernsehen website. Sky will move all services to the newer DVB-S2 standard and will distribute both standard and high definition services using MPEG4 audio and video standards. In contrast, such a move in the UK and Ireland may be somewhat further away, as it would make older Sky standard definition receivers redundant and force viewers to Sky HD receivers, which support DVB-S2. France's Canalsat has already completed a similar move. And French terrestrial service TNT is migrating completely to MPEG4 standards next year. "At Sky Deutschland, we believe in being innovative with our offerings and providing our customers with the best television experience, and have therefore been investing in Ultra HD. The agreement with SES gives us planning security in terms of capacity so that we can continue to develop Ultra HD and get it ready for the market."